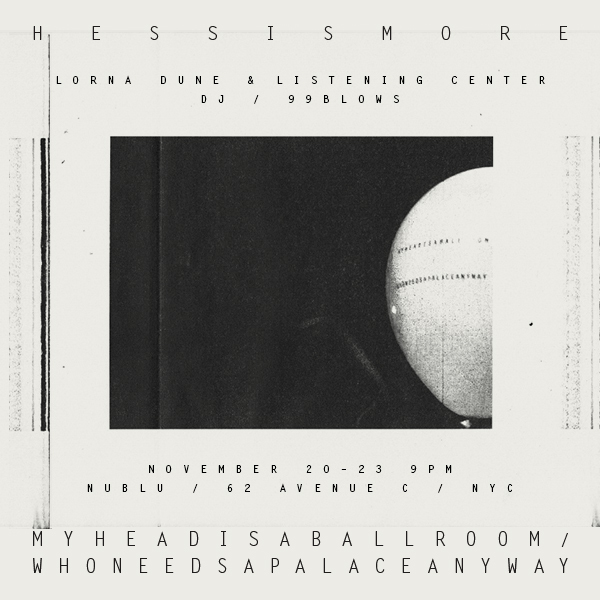 We will be playing live sets tonight and tomorrow, (November 22nd and 23rd) at Nublu, as part of a 4 concert series featuring Lorna Dune, Hessismore, and Listening Center. Matt Parker will be leading the aerophonic department on Solaroid. Some more details here. This entry was posted in Information, Photographic Materials. Bookmark the permalink.